KGB Report by Kevin G. Barkes - James Otis, Jr. 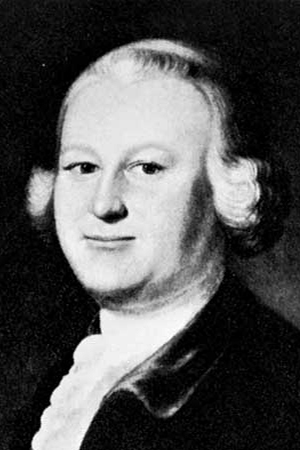 Quotes of the day: James Otis, Jr.
A man is accountable to no person for his doings. But I think I can sincerely declare that I cheerfully submit myself to every odious name for conscience' sake; and from my soul I despise all those whose guilt, malice, or folly has made them my foes. Can there be any liberty where property is taken away without consent? Every man may reign secure in his petty tyranny, and spread terror and desolation around him, until the trump of the Archangel shall excite different emotions in his soul. Every one with this writ may be a tyrant; if this commission be legal, a tyrant in a legal manner, also, may control, imprison, or murder any one within the realm. I do not say that, when brought to the test, I shall be invincible. I pray God I may never be brought to the melancholy trial; but, if ever I should, it will then be known how far I can reduce to practice principles which I know to be founded in truth. I will to my dying day oppose, with all the powers and faculties God has given me, all such instruments of slavery on the one hand and villainy on the other as this Writ of Assistance is. If we are not represented, we are slaves. Let the consequences be what they will, I am determined to proceed. My dear sister, I hope, when God Almighty in his righteous providence shall take me out of time into eternity, that it will be by a flash of lightning. One of the most essential branches of English liberty is the freedom of one's house. A man's house is his castle. Parliaments are in all cases to declare what is good for the whole; but it is not the declaration of parliament that makes it so. These manly sentiments, in private life, make good citizens; in public life, the patriot and the hero.